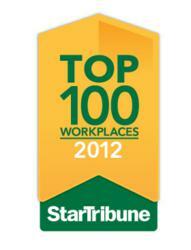 For the third year in a row, Alerus Mortgage, formerly RMG, has been ranked as one of the Top Work Places in Minnesota. Alerus Mortgage is proud to be a member of the Minnesota Mortgage Association. "Promoting unity and strength for Mortgage Industry Professionals." For years, after every referral-generated loan has closed, Alerus Mortgage, formerly RMG, a division of Alerus Financial, has donated $100 in honor of that client to the school, police or fire department of their choice. To date, we've donated more than $1,000,000! And starting in November - just in time for Thanksgiving - clients will be able to designate Second Harvest Heartland as the community organization they would like their referral donation to go to. Supporting communities and families. It's the right thing to do, and it's what Alerus Mortgage is all about.